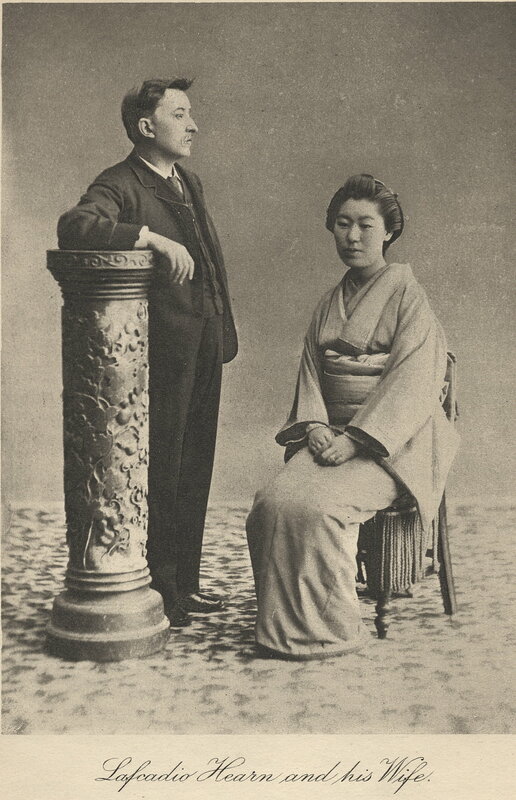 Though he could have claimed to be Greek and although the Japanese themselves might claim him and his writings, Patrick Lafcadio Hearn is indisputably Irish, although far better known in the Orient than he is here. Let’s face it, there aren’t many Irish authors who wrote under the pen name Koizumi Yakumo. His middle name, Lafcadio, comes from the Greek island of his birth, Lefkada, were the great lyric poet Sappho is supposed to have commited suicide. He was the son of a British Army surgeon stationed on the island in 1850 when he was born there. But at the age of two his mother took him to Dublin and he spent his formative years in the suburb of Rathmines and his boyhood summers in Tramore, Co.Waterford. His Greek mother had some trouble adapting to Irish life – and presumably the Irish climate. Hearn’s childhood was not enhanced by suspicion of his extended family that he had been born out of wedlock and that his father and mother were not actually married. This was because his extended family was Protestant and did not hold with a marriage which had taken place in the Greek Orthodox church. At the age of 19 Hearn said goodbye to Ireland and went to live in the USA. There he made a living as a journalist, first in Cincinnati and then in the party town of New Orleans. Prior to leaving Ohio Hearn had already acquired a reputation as a crime reporter, and became renowned for his coverage of a number of lurid murders. He also married an African American woman, Mattie Foley – which was still illegal at the time, 1875, a decade after the end of the Civil War, even in Northern states. They divorced in 1877. Hearn spent a decade in New Orleans, immersing himself in Creole culture and writing about the French and Caribbean roots of the Louisiana city. He has had more books written about him than any other former New Orleans resident other than Louis Armstrong – though they have not proved that popular in the Big Easy as they are mostly in Japanese. His former home in the city, on Cleveland Avenue, has been preserved as an historical monument. From New Orleans Hearn, now ion his forties, travelled to Japan in 1890. He settled at first in Matsue [Matt-sue-eh] in western Japan and married Koizumi Setsu, the daughter of an old noble samurai family. Between 1894 and his death in 1905 he produced more than 15 volumes of stories, poems, and non-fiction writings on his adopted country. He was one of the main foreign interpreters of the country as it began to open up to the outside world – and conquer parts of it. A volume of Hearn’s ghost stories, Kwaidan, was turned into a movie by the Japanese director Masaki Kobayashi in 2007. Hearn may not be as well known in his native Ireland as he is in Japan but the creator of James Bond, Ian Fleming, had certainly heard of him. In his 1964 novel You Only Live Twice Fleming has the villain Blofeld ask Bond if he is familiar with the Japanese phrase ‘kirisute gomen’. Bond, lip curlingly responds, ‘Spare me the Lafcadio Hearn, Blofeld’. For the record ‘kirisute gomen’is what allowed samurai to kill any member of the lower orders without compunction if they looked sideways at them. In March of this year  it was announced that the Japanese government was to contribute to the construction of a Japanese garden in honour of the writer in Tramore. 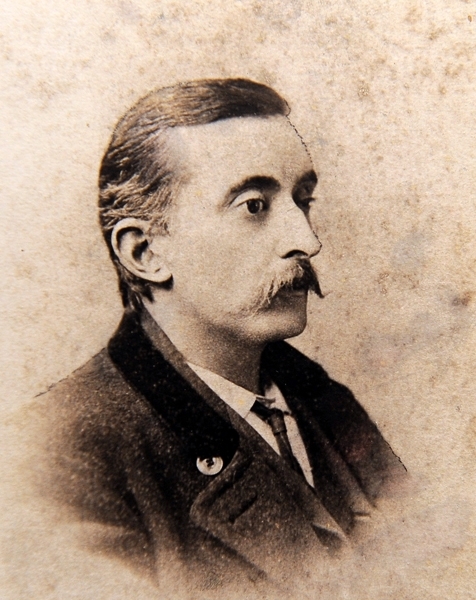 Patrick Lafcadio Hearn, well-travelled writer, died 109 years ago, on this day.